In 1984, a teenage Dave Travis decided to capture punk rock in Los Angeles on video tape, a fascination and hobby that he would continue until 1997, logging in hundreds of hours of Los Angeles area shows and interviews. 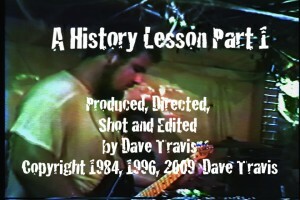 In “A History Lesson Part 1, Travis presents live footage filmed in the spring of 1984 featuring the Meat Puppets, Minutemen, Twisted Roots and Redd Kross interspersed with interviews of members from each group which examines and puts a perspective on the early years of “psychedelic” punk rock in Los Angeles and Phoenix, AZ. Each song by each group is presented from start to finish. The Minutemen were the original punk band from San Pedro, California. Bassist Mike Watt, a childhood friend of guitarist D Boon says that Boon’s mother taught him how to play bass. When the two first started playing together, they tried to cover rock songs, like American Woman and Black Dog. Then they saw a punk rock show one night in Hollywood and had the revelation that they could play their own music. Boon would write phrases on scraps of paper and Watt would put these to music. Watt would write songs with beginnings, middles, and ends. D. Boon would write songs with just verse and chorus. The songs were short, often less than a minute long. They would write solos into the songs so the other players could rest. Boon had a thing about ideas and principles; he and Watt would talk and argue about everything, even having to pull over at a library while driving between towns on tour to resolve a debate they were having about European History. They philosophized that their world was divided into two parts; Gigs and Flyers. Gigs were the shows. Flyers were everything else which would get people to the shows. Records, radio, videos; these were all flyers to the Minutemen. Six Minutemen songs are featured: A History Lesson Part 2 and Jesus and Tequila from Hollywood’s legendary Cathay De Grande and No 1. Hit Song, Martin’s Story, The Big Foist, and Bob Dylan Wrote Propaganda Songs were captured at The Olympic Auditorium. Redd Kross were teenagers from Hawthorne, CA who started playing shows with Black Flag while some of the members were still in Junior High School. Though they gigged with punk bands from the South Bay, they felt that they were outsiders because they were obsessed with pop culture and felt more of a connection with rock star persona than their punk rock peers. Three songs were filmed at the Pomona Valley Auditorium in June 1984: Janus, Jeanie, and George Harrison, Linda Blair, and Annette’s got the Hits. The band at the time consisted of two pairs of siblings: Jeff and Steve McDonald and Dave and Vicki Peterson of The Bangles temporarily replacing the freshly departed Dez Cadena before guitarist Robert Hecker joined the group. This was Peterson’s only show with the group. Videographer Dave Travis grew up in Los Angeles where his dad worked as a cameraman for NBC and CBS news as well as TV shows such as “Chips” and “Fantasy Island.” When he was 15 his dad handed down to him an old video camera and he began shooting punk rock shows in Los Angeles. 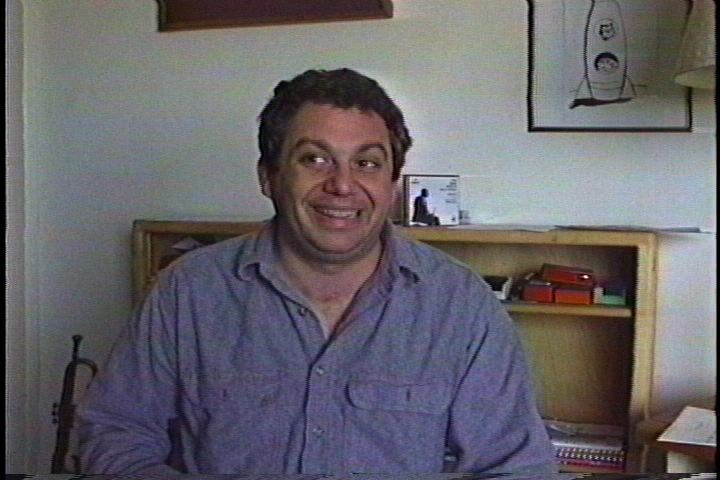 He eventually became a freelance video editor, working on projects such as Black Flag’s “Slip It In” video as director and editor, “1991 the Year Punk Broke” featuring Sonic Youth and Nirvana as editor, the Kurt Cobain memorial for the 94 MTV Music Awards as editor, and many more. 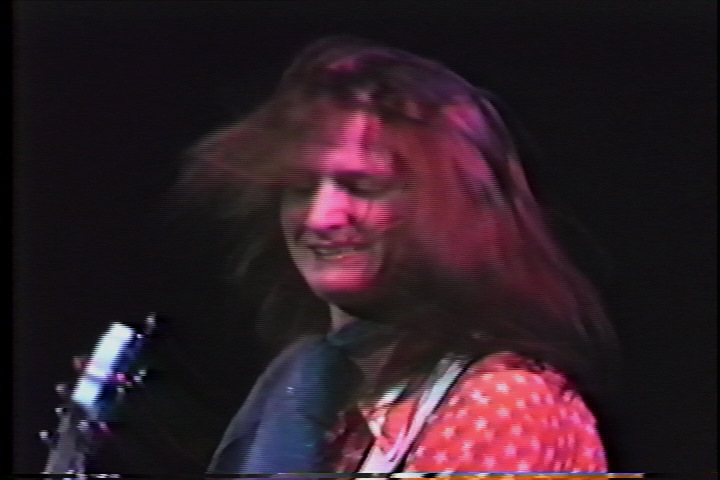 Travis also ran a recording studio with his sister, bassist Abby Travis, called Tarantula Ranch and in the mid ‘80s helped pioneer the desert Generator Shows. Travis captured punk bands on video in L.A. for 14 years until 1997 when he decided to put down his camera. In 2000 he became a teacher with stints at John Adams Middle School teaching World and U.S. History and Santee Education Complex, a High School in South Central, L.A. teaching History and Economics. After spending nearly a decade as a teacher, Travis re-united with his passion for video and began digitizing and restoring his old footage. “A History Lesson Part One” is the first fruit harvested from his archive.